I haven't been to the zoo in a while, it used to be a regular stop for me but when I moved my office and they started charging for parking on top of admission it just seemed like more trouble than it was worth. Still, I love to watch the animals and, for the most part, our local zoo does quite well in keeping the animals stimulated and happy. 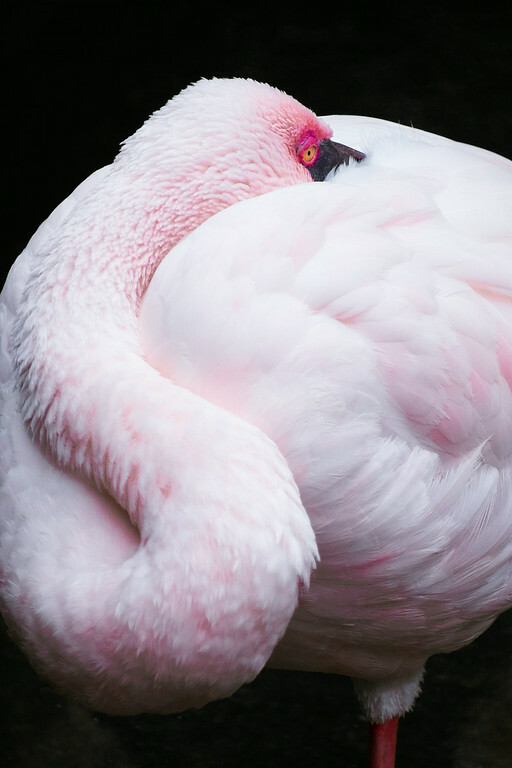 The flamingos are always fun because they're so odd and at the same time elegant that I find them fascinating.